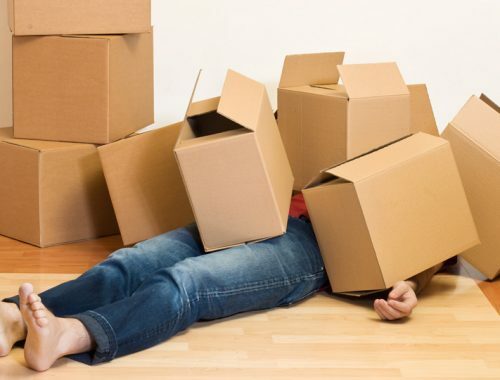 Packing up glassware and other fragile items for moving home can be a big challenge for you. But you can make secure packing of all your fragile items like glassware, chinaware and silverware correctly using right techniques. 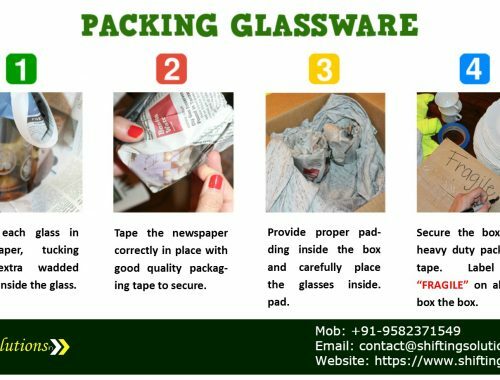 Here are some important tips for packing up glassware and other fragile items and making them ready for shipping. First of all you need to collect required packing supplies such as corrugated cardboard carton boxes, heavy duty industrial packaging tapes, wrapping sheets, old newspapers, bubble wraps, foam peanuts, etc. Wrap the item in one layer of wrapping sheet or old newspaper or blank newsprint paper. Thereafter, wrap the item in multiple layers of bubble wrap. Secure the wrapping with a piece of packaging tape. Prepare the box or carton with a layer of packaging material on the bottom. You can use old cotton clothes or t-shirts or wadded papers. Place the wrapped items in the box properly and fill the empty spaces with wadded papers or cotton clothes. 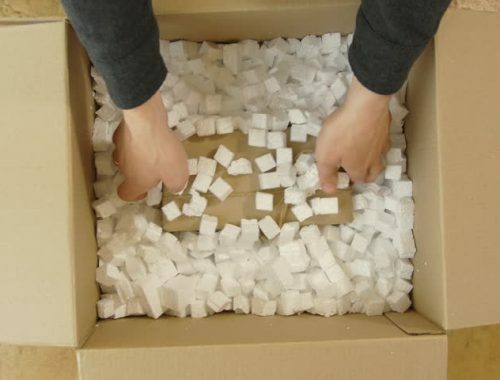 Place heavier or larger items first and lighter or smaller ones later inside the box. Seal the box properly using heavy duty packaging tape. Shake the box to ensure there is no movement of items inside. Label the box “FRAGILE ITEMS”. If you need more protection then use the two-box packaging method. Place the finished box in a larger corrugate cardboard box and fill the empty space with padding material like old clothes or wadded papers. Make sure there is no movement of the inner box. Hence, you see that packing fragile items or glassware for moving home is a simple and straightforward procedure. Just you need to take care of items; and pack those delicate items using right techniques and right packing materials. If you don’t want to take risk on packing fragile and delicate items then you can get assistance of professional packing service. Professional Packers and Movers can pack all your household items including fragile and delicate items properly. They can pack each and every item of your household correctly and transfer them to your destination place safely on time. Delhi the national capital of India is one of the most fascinating places to reside in the world. It is a place which gives employment to many, whereas there are students who turn towards the city for betterment in their college life. The city homes a number of people from different walks of the society. As people turn towards Delhi the national capital of India, there are many residents of the city who move to a foreign country for betterment in their life. A move to another country is called as international relocation and when there is a desire to carry goods alongwith, the process becomes much complicated. International relocation is one of the toughest shifting types. Moving to an alien’s land is a challenge and that too with goods is something very difficult. Earlier people don’t use to carry bulk of goods if they were relocating internationally but things have changed a lot. Now it is no more a hassle for person to shift to an international location with goods. City residents of the national capital of India can take the aid of packers and movers in Delhi if they desire to shift to a new country and wish to carry their goods as well. 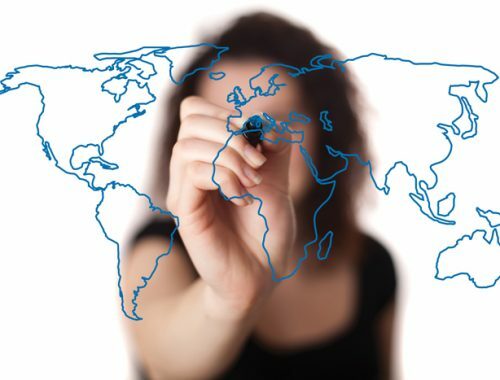 Now, there comes a big question why international relocation is complicated. In the process of international moving as the distance is long the risk factor increases. With this the item needs to pass through so many security checks, hence one need to make sure that only adequate things are packed. One of the greatest reasons for hiring packers and movers in Delhi for international shifting is that they are aware with the things that are restricted in the foreign country. They inform about it hence save the relocator from losses. Documentation is one of the very important aspects of international move. Only a knowledgeous person can manage to pass through the process with all the documents ready by his side. Hence when packers and movers are monitoring your international move, there is no more a hassle for you. You can let them pack and move your goods and can expect the safe landing of your items in the next destination. Moving companies provides goods insurance facility. A move with them is always secure. In case any item encounters loss or damage, they will compensate it all and in this way one can rejoice the services of old goods in the new international location as well. Unpacking is the last yet the hardest phase of relocation process. You may have reached safely with all your household stuff at your new destination. And this is now the time to unpack and unfold all your possessions. Unpacking is same as the packing process that requires enormous efforts and time too. This may take you many days but instead of rushing for this you should be calm and manage everything systematically to achieve a great result. Cleaning your home is very much important and your stuff too. Make sure that all the rooms are cleaned properly and if not then do it immediately. This is because, after arranging all the stuff you won’t get time and space to clean out the mess. Before opening any box you must know that what you are opening and which room you are going to do first. If it is kitchen then make sure that you are opening the boxes that contain kitchen’s goods. After a hectic move, it is important to take rest. You have just come travelling long distance so you must take rest otherwise you won’t be able to rearrange your home. So take at least a few hours one day to do something fun and relaxing. Kitchen is the most important room of our home in fact it is the heart of any home. Most of us have experienced the inconvenience of trying to run a household when the kitchen is still in boxes. You can live without resting on your bed for two-three days but cannot live without food. What you can do to take out pizzas and burgers but how long. So, the very first thing that you need to set is your kitchen. This may take you long so just first unpack all the crockeries safely and place it at its place and then hookup all the appliances like coffee maker, mixer-grinder, etc. 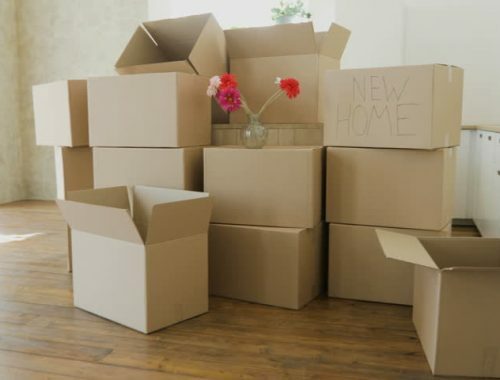 These are the things that you must do when unpacking your new home and this will help you to set your home perfectly. If you have hired professional packers and movers then you don’t need to worry at all as they will help you to unpack and rearrange your home too. But before hiring them you must discuss that you require unpacking services too. And with them you can enjoy easy home relocation and have peace of mind. Relocation is a daunting and chaotic task that consumes time and lots of means. This requires professional assistance to be done so if you are moving in Delhi then you must hire packers and movers Delhi that can provide you safe and hassle free relocation. Packers and movers are professionals who know the right method of packing and moving stuff hence you must hire Delhi packers and movers to relocate your home. Moving the goods to the desired location will cost you your time, energy and money. It needs your involvement to supervise everything for a safe and hassle free relocation. There are a lot of things to handle while relocating somewhere. So, better way to enjoy the tedious and hectic procedure of moving and shifting is to hire packers and movers. Whether you are moving in Delhi or outside the city then you must hire packers and movers Delhi for having a hassle free relocation. Packers and movers Delhi are professional and expert in dealing with all type of relocation like household shifting, commercial relocation, office shifting, pets and plants relocation, vehicle transportation etc. They offer you their high quality services in affordable prices and provide you a safe relocation without any hassle. Whether you want to relocate internationally or car transportation or storage facilities all are done by them within your means or budget. A reliable moving company has trained employees that use the durable and high quality packaging materials that prevent the goods from damages and breakages. They do the same process of packing every day hence; they have become the expert of packing and moving the goods and will do it better than anyone else. You can avail packers and movers service at best affordable prices and enjoy a safe and damage free shifting with them. Professional packers and movers know how to pack and move the stuff. But it’s not necessary that all the moving companies are genuine and trustable so you should be smart enough to identify the right packers and movers company in Delhi. For this you can rely on internet for choosing the best packers and movers. You neither need to go anywhere nor need to spend any money for finding moving companies. You will get free moving quotes at your home only and you can even hire Packers and Movers Delhi sitting at your own comfort zone. So plan your move with one of credible moving companies in Delhi to have happy and completely tension-free moving experience. You must know that what are the goods that you will move along with and how? And for this you have to do planning. Making strategy gives you an idea of how to pack and move stuff and the further procedures. 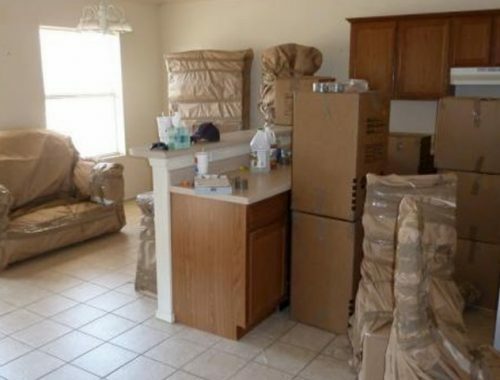 You must start planning of your move as soon as possible. Be it residential relocation or commercial move, the process of relocation is a time taking process and for a safe move you must start planning of it right from the day you have heard about it. Starting early can help you to organize everything on the right time which will lead to a safe and smooth relocation. You know that you can’t do everything alone without the assistance of professionals and experts. So, you must hire packers and movers that can assist you for a safe and easy shifting experience. Packers and movers have trained and qualified employees, who are proficient enough to handle any type of relocation and provide you safe relocation. Before picking any removal company you must check company’s website to collect information and also check online reviews of the customers. This way you will be able to hire the right relocation company for moving your home. Your personal and important stuffs like passport, Jewellery, documents must be packed by yourself. These are important and small in sizes that also that can be lost so you should be careful for this and pack your personal stuff by your own. Cleaning is one of the tedious tasks to do but it is equally important too. You might not want to do it after shifting in your new home hence you should clean all the stuffs during packing them so that you don’t have to put efforts for cleaning them in your new place. These are the tips that can help you to have an easy and smooth move. Follow these and hire the right professional Packers and Movers in Mumbai, Delhi, Bangalore, Gurgaon, Ahmedabad or another city of India for a safe and hassle free relocation experience. Professional packers and movers are experienced who know how to pack and move the goods and also know how to deal with the obstacles that come across your way while moving and shifting home. When you hire packers and movers you neither need to arrange packaging materials nor truck to pack and move your stuff. They have all the resources to pack and move your stuff safely at your new home. They have trained and qualified employees and all are proficient enough to handle any type of relocation. They know the right method and trick to pack the goods with safety and also deliver the goods safely at the desired location. The trained team leaves no stones unturned to make your move safe and hassle free. If they are well trained and also have the latest tools and techniques to pack and move the goods then you can be very sure that your goods will be safe on their hands. So, you can be stress free with them and can be sure for the safety and security of your possessions. They have professional teams to pack and move your stuff which saves not only your time but your money too. You don’t need to buy packaging materials or hire vehicle for transporting your stuff which saves you from spending extra expenses. Relocation is a tough job; the process needs a lot of attentiveness in order to reach to a positive result. There are people who quit in the very beginning just because they are attached to their goods and don’t want to take a risk. Hence in order to eliminate the risk factor they hire packers and movers for the task. On the other hand there are also people who are smart enough to deal with the requirements of shifting. DIY in shifting is not tough, all you need is a good management and a proper implementation of the same and rest all will be done in the brighter side. If you are also undergoing DIY in packing then here are the tips that would certainly help you out in the business. It is always better to start the process at the earliest. The early you begin the convenient it will be for you. It will lower your stress and also you would be able to devote more time for shifting goods as well. Each and everything that you wish to carry with you needs to be jotted down in a list. This list will help you in spotting things at the next destination and will also help you in decluttering the load. Once you have an inventory of items it would be easy for you to gather the packing supply accordingly. Collect relevant supply as per the need and hence everything will be managed perfectly. You would need moving boxes of different sizes for packing. Not everything has the same size and weight; hence you need to take decision according to the goods that you are carrying with you. Get specialty wardrobe boxes. You can easily replace your hanging clothes into the box and repeat the procedure once you start unpacking. Doing everything by own, can increase your stress level. It would be better if you will take the assistance of your near and dear ones in the same. This will lower the stress and also help you to wipe away the moving blues. Make sure you are well aware with the movables and non-movables during packing. Unnecessary packing hazardous things will lead you in problem in the end. Don’t mess up by doing many things at the same time. Pack a room at a time to avoid any sort of confusion. The above mentioned tips are the most important points that would certainly help you in attaining a higher peace of mind the moment you will pack and move your goods by self to the new place. For more information about Packing Tips and Packing Guide my consult your Packers and Movers in Delhi or check out Shiftingsolutions.in for other helpful resources.